This artist's impression of Queen Victoria's visit to Leeds, to open the new Town Hall was drawn on 7th September 1858. 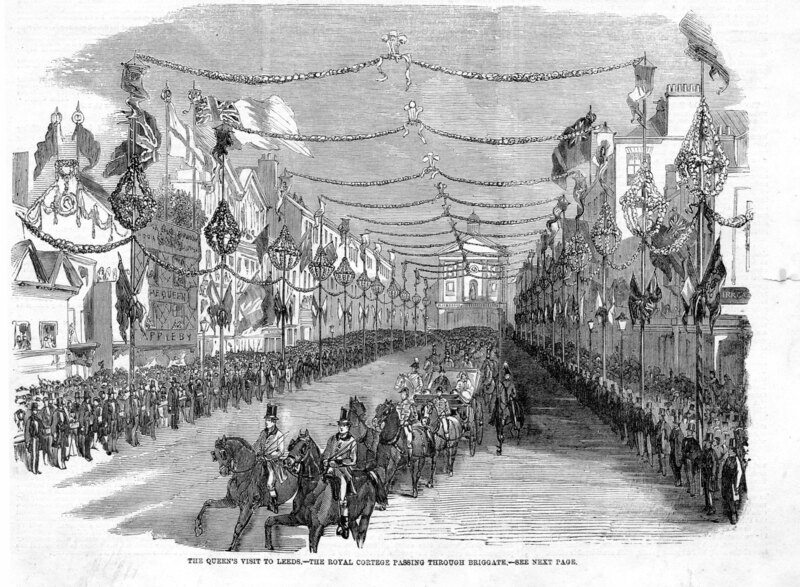 This view is of Briggate, with bunting and decorations, showing the Royal parade in the centre. At the end of Briggate is the original Corn Exchange, which was demolished in 1869.